Dr Michele MacLean preforms Family Medicine with an interest in Botox Fillers Aesthetics. 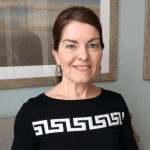 She trained at Dalhousie (1975-1979), McGill(1979-1980) and the University of Massachusetts School of Medicine (1999-2001) She is also a Member of Canadian Association of Aesthetic Medicine. We are excited to have Dr. MacLean as part of our Bloom Team!